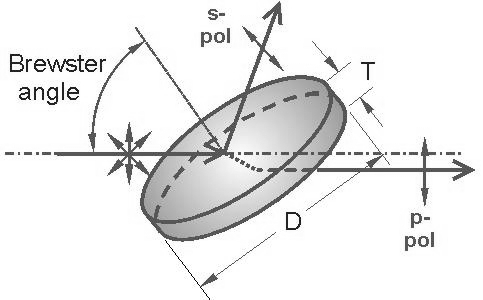 Thin Film Polarizers (Round) seperate s- and p-polarization components. They can be used as an alternative to Glan laser polarizing prisms or cube polarizing beamsplitters due to the high damage threshold reaching 100 mJ/cm2, at 800 nm, 50 fsec. 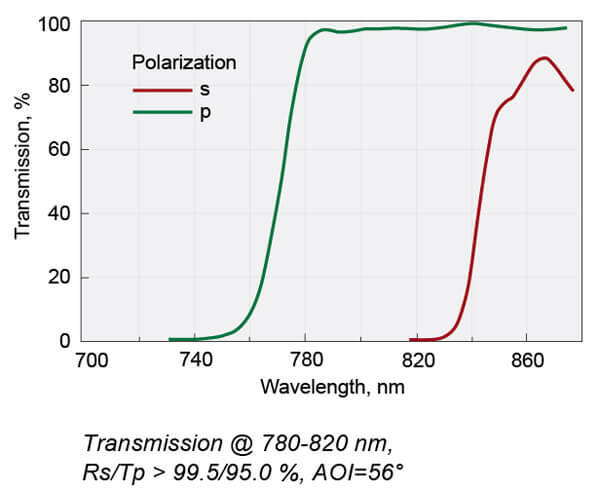 Thin Film Polarizers seperate s- and p-polarization components. 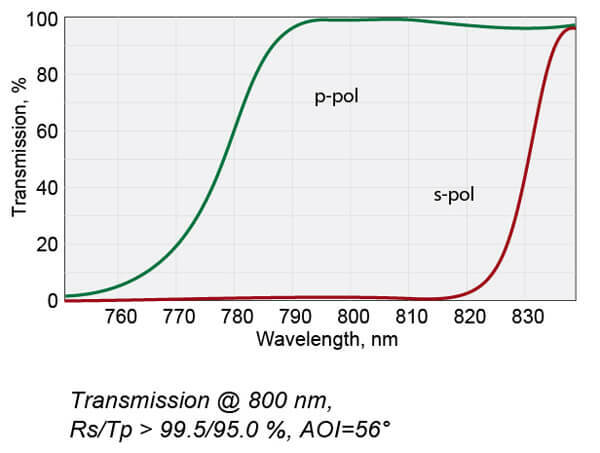 Thin Film Polarizers can be used as an alternative to Glan laser polarizing prisms or cube polarizing beamsplitters due to the high damage threshold reaching 100 mJ/cm2, at 800 nm, 50 fsec. 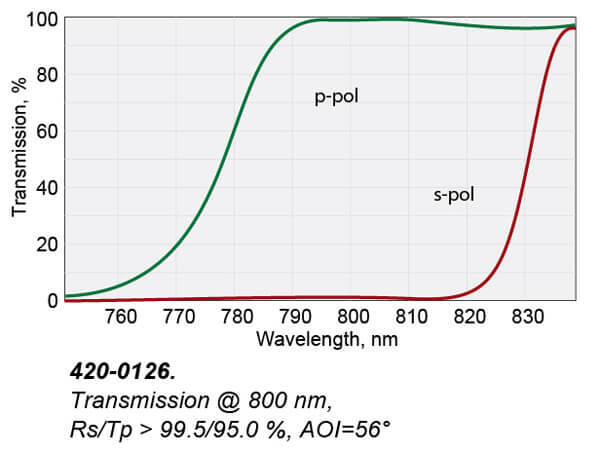 Thin Film Polarizers are used in high energy lasers. They can be used for Yb:KGW/KYW or Ti:Sapphire laser fundamental wavelength and its harmonics or intracavity Q-switch hold-off polarizers. The most efficient way to use thin film laser polarizers is at Brewster angle - 56° ±2 ° with minimal losses. 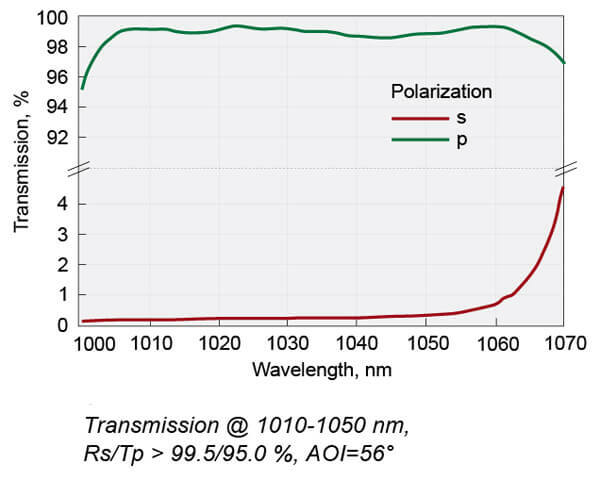 Typical horizontal polarization ratio Tp/Ts is 200:1.